Apologies for not stopping in sooner, but I figured I'd wait until there was something visually worthwhile to show off. There are approximately four topics I'd like to cover in this post, so prepare thine asses for a really long post. I figure I'll touch on this one first since there are a bunch of pretty screenshots to check out. Menu - This is an alternate, symmetrical layout design for the front menu page. The original version with the side menu will return as well, and you will be able to toggle between the two layouts in the Options menu. Something of note on this screen is the new widget for displaying armor damage. We're still working on the details of its functionality, but expect it to be in the next version. Items - The items menu features a new list window comprised of what we are calling "tiles". These tiles contain an icon and basic data on an object, and the list windows throughout the other menus will follow this same pattern. Depending on the type of object, different information will be displayed in the parameter row below the name of the object. 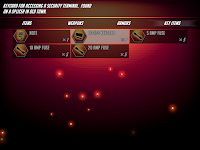 The actor selection screen for when a consumable item is used has also changed, and now shows the item type, its description, and the quantity remaining. Tetra - This is a new menu that will allow you to view and change out skills and items for battle. You'll also be able to change the placement of these on their respective tetrad panels. You must be using an ARIS unit to be able to actually change a character's loadout. You'll also notice here that any screen for which it is necessary now has control notes at the bottom of the screen. 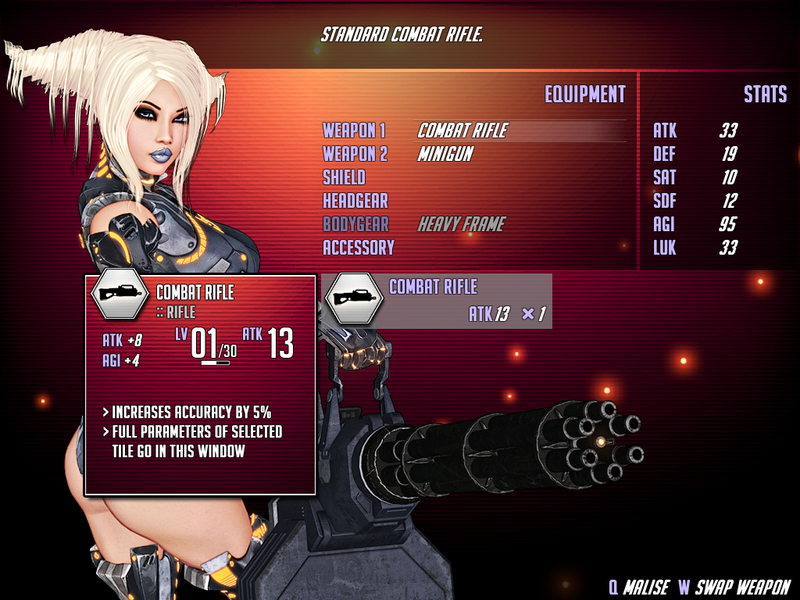 If you're curious about that 'Weapon Swap' key, I'll be talking about it in the Equipment section. Equipment - The Equipment menu now also boasts a tile-centric list window, and in one of the screenshots you can see that such windows now have scrollbar support. One of the features of this menu hinted at for future releases is the detail popup window for gear. As you can see, gear will have some level of complexity similar to modern RPGs, and can even be upgraded (we're still working the details out on the mechanics of this system). The color of the icon of the gear indicates its general quality (also an idea lifted from modern RPGs), while the image in the icon indicates its type. Characters now have two weapon slots -- one for each of their weapon types. A character's currently equipped weapon type will influence what skills they can use in battle as well as their general battle role, and can be toggled in real time using the W key (more details on that another time... for now know that it can be done in battle, and will be a valuable tactic). I think that covers most of what you're seeing in the screenshots! 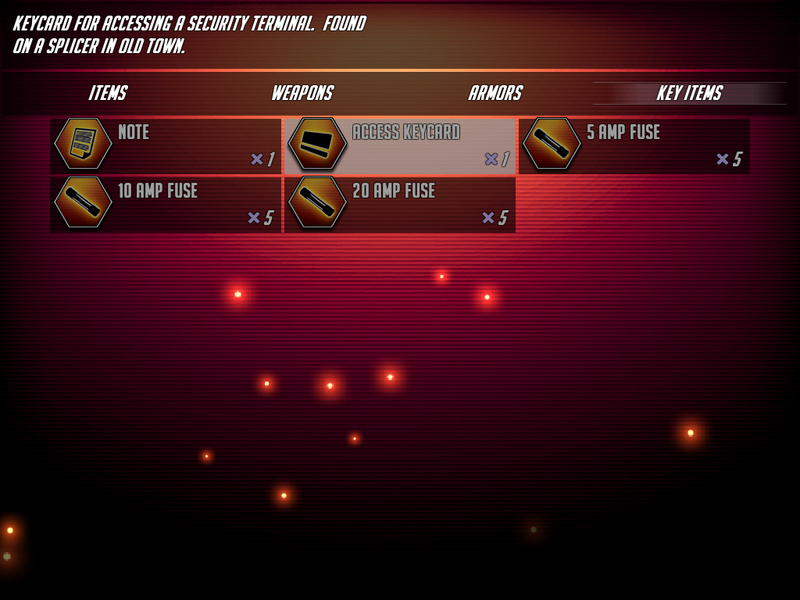 You can expect all of this to be in the next version of the game save for weapon swapping and equipment detail popups. This is a short one. Controllers were supported in V0.01, and then I broke it, and now AltairPL fixed it! This may or may not be what you wanted to hear (and isn't exactly what I was planning for this release cycle), but the majority of my time for the past month has gone into story. It's been shaping up over the past couple releases (at least in my mind) that the story for this project is going to, like pretty much everything else, extend beyond the scope of the usual H-game. In short, it was getting to a point where my notes and ever-evolving ideas weren't cutting it, and it was becoming obvious to me that I could both be more efficient and produce better results if I took time out and treated the story with the same attention I've given the rest of the game. So, what I did was boil down the 50 or so pages of generally unorganized story related notes that had accumulated since I started even thinking about this project into about 20 pages of pseudo-relevant sludge. While even most of this would be eventually thrown out, my strategy was to use this as a launching point to create from scratch an overarching wiki-esque format type document for the game world and its characters. It was pretty evident that writing a large scale story in a linear fashion wasn't going to work, so instead I let the background and personalities of the characters and the details of the game world that I felt I wanted to include create the story for me. After a whole bunch of growing and trimming and gutting and filling, the culmination of this effort is a nice little 30 page living document that contains everything related to the story of the game. Of course, by everything, I mean it's still heavily under construction and will be edited throughout the project, but the fact that it's solid is a pretty big weight off my back. I'm really satisfied to say though that as of just a few days ago I've bridged all of the central plot elements of the main story from beginning to end, and in the process of doing so have laid the groundwork for a host of new characters, situations for H content, and so on. What I've landed on is I hope a solid mix of serious, completely ridiculous, and generally entertaining with characters that have some semblance of dimension to their personalities. I'm sure you're wondering, and yes, this definitely has impacted the timeline for this release cycle, but it will be overwhelmingly worth it in the long run. The next event on the horizon is a public demo. 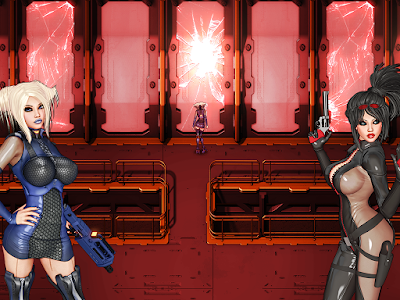 Note that this is not the V0.04 release, and patrons on Patreon won't be charged for it. I'll definitely post about it here before it goes live, so keep an eye out. Basically, I'd like for the public demo to be spread like wildfire. Share it with everyone you know. Give it to your grandmother as a late Christmas present. Seed it like crazy. Teach your dog how to play it and make a completely inappropriate viral video about it. Just be aware if you do something really crazy I'll say I don't know you and it'll be really awkward. When the public demo comes out where will I be able to download it? Hey! We'll be posting it just about everywhere we can, including on this blog. Awesome! The help would be much appreciated!